Home Gaming Accessibility in Games isn't a Bad Thing. I was holding off writing this because I was angry at the time and now I have calmed down a lot and find myself laughing at this whole debate especially when people keep tweeting me and misunderstanding what I'm talking about, a certain game has just come out called Sekiro: Shadows Die Twice it's beautiful and difficult which in turn makes the game challenging. There is nothing wrong with that, I'm a fan of playing games that are challenging now and then but I doubt I would ever play Sekiro: Shadows Die Twice due to how hard it is. The debate that surrounds this game is that it should have an easy mode, a lot of people are angry about this and basically giving abuse to those who think games should have difficulty settings. I personally am in agreement with having difficulty settings. This is my personal opinion and again you don't have to agree and that's fine. 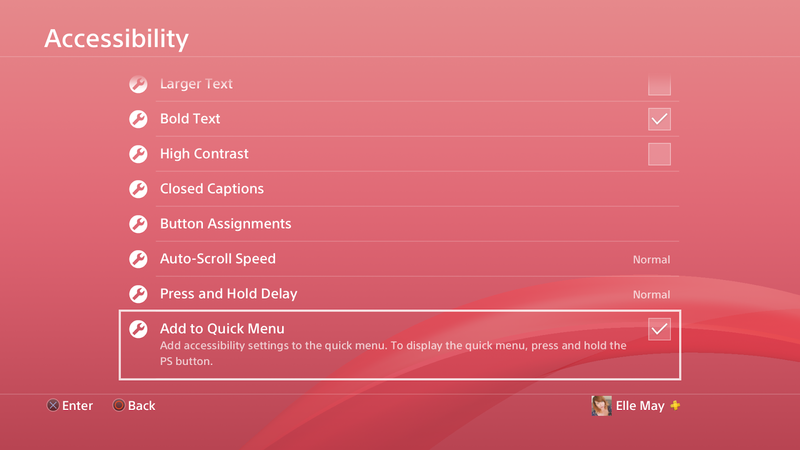 For some, these settings help them experience the game just like an abled player would be able to just in a different way, here some of the settings that can be used to make a game a bit more accessible: Being able to configure controls, this is a very basic one that can be implemented and one that can help people play a game the way that suits them, adapted and accessible controllers are something more companies are thinking about lately and I've seen such a positive side to the announcement of the Microsoft controller that it showed me that the gaming community can be caring towards disabled/invisible illness gamers some of the time. Some gamers use a joypad instead of your typical controller on consoles and being able to connect it and play games with this alternative controller can be a game changer. An assist mode can be a great way for accessibility, I've seen people say such ableist things against assist mode such as 'it dumbs down a game for people' but this isn't the case, not everyone will have the same reaction times as you. 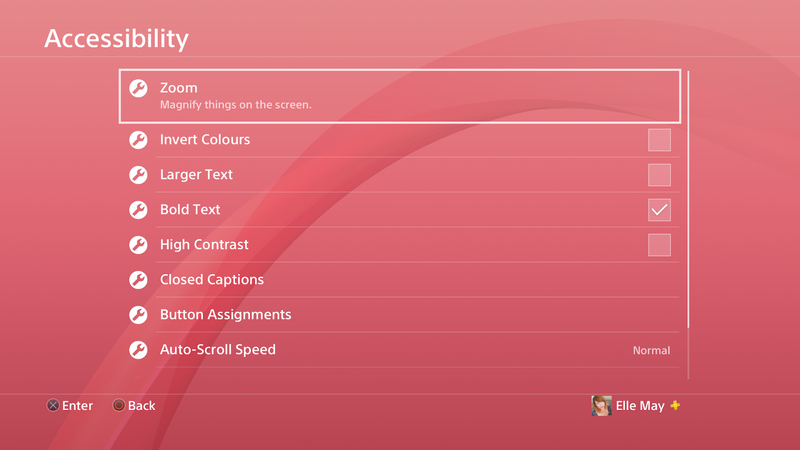 Take Spider-Man as an example (review here) the accessibility settings were ace, not the best as there are no options for those who are colour blind but it did set a new standard and showed that having accessible settings had no effects on those who didn't need them. The option to be able to skip puzzles and autocomplete QTE (Quick time events) was great, not everyone is going to be able to press a certain button in time and it takes away the frustration of missing it each time. Closed captions and subtitles are a simple thing that can be added to a game, the rage people had over gamers asking for them when it came to Spyro Reignited was ridiculous, apparently those of us who use closed captions just have to deal with it according to gamers who just don't understand the need for them. Why shouldn't those with a hearing impairment be able to enjoy what a game has to offer and know what characters are saying? Text-to-speech is something that those who are visually impaired often use, having the option to experience a game this way helps them to be able to immerse themselves in the game, also adding speech descriptions of what is happening around them whilst playing will help the play be aware of an enemy getting close or being close to where their objective is. Imagine how much getting used to that could take someone, disabled people face a lot of obstacles in order to be able to play a game and accessibility settings are what help make the experience for them a positive one. Specialeffect put together a wish list of 20 accessible settings across 4 different categories that would make gaming more accessible to those who need it, they don't expect all of them to be added but even by adding a few in a game would make a difference, you can read them HERE. 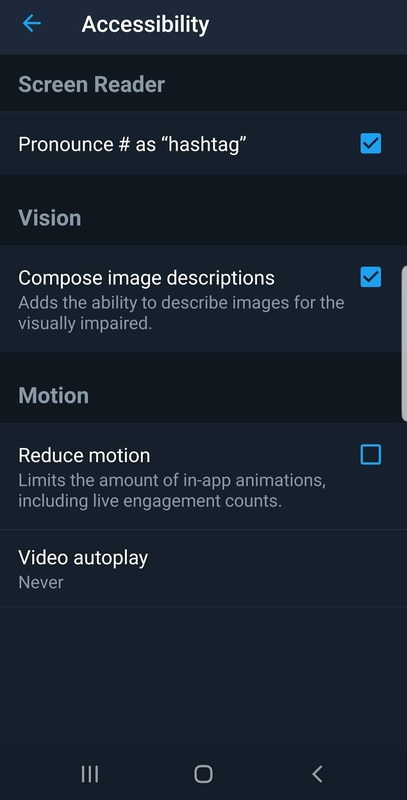 So many apps are following suit when it comes to accessibility, take a look at your twitter settings there are accessibility settings on there, Instagram has them, Facebook too, just to name a few and you know what people asked for these for a while, if people don't ask about these things nothing will get done will it? 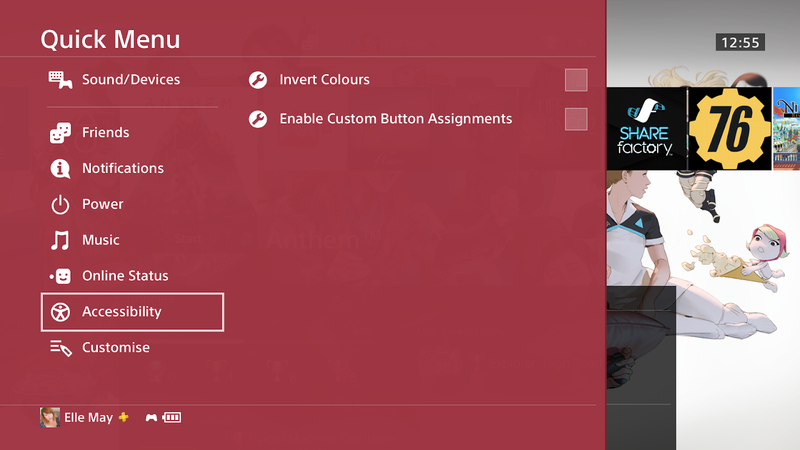 Your PS4 and Xbox One even have accessible settings and by you using the excuse it should be up to the devs you're not understanding that accessibility is a right and shouldn't be an option. I'm so disappointed with the gaming community right now, I've seen people saying 'why are disabled gamers asking for accessibility options now', they aren't we have been asking for them to years, if you actually did your research you would see all the wonderful people who do their utmost to try and make gaming accessible instead of making out disabled/ gamers who have an invisible illnesses are being entitled. By saying you agree with accessible gaming for all but not for certain games you contradict yourself, you are either for it completely or against it, there is no in-between when it comes to this. I myself have a chronic illness and gaming has become harder and harder for me due to my hands flaring up, even typing on this blog can get hard so when I do game I put it on easy sometimes so that I don't push my hands too far otherwise I'm in pain for a while. Just because it doesn't affect you doesn't mean it doesn't affect others, stop being selfish and welcome disabled/gamers who have an invisible illness. Sekiro: Shadows Die Twice doesn't appeal to me but let's not alienate disabled/gamers with an invisible illness who would still like the challenge but with better accessibility settings (remember that doesn't just mean an easy mode). By being more accessible, it means more people can play, more money can be made by developers and more people are happy. Anyone can become disabled at any time and if you suddenly couldn't play games, a thing you're incredibly passionate about, you'd have something to complain about.